Harriet Tubman was born in either 1820 or 1821, in Dorchester County, Maryland. Her birth name was Araminta. In 1836, she took the name Harriet. She was one of eleven children born to Harriet Greene and Benjamin Ross. Harriet's family was owned by Edward Brodas, a white plantation owner. When she was only 7 years old Brodas hired her out and she was subsequently beaten on a regular basis, leaving permanent scars across her back. After some time she was returned to the Brodas plantation where she resumed working in the fields. Then one day she ran away from the plantation with a boy. Unfortunately, the man who watched over them chased them and caught them. Then when Harriet would not help him tie up the boy he smacked her in the forehead with a heavy weight. The force of the blow sent her into a coma for weeks until she recovered. Harriet would suffer blackouts and headaches the reminder of her life. When Edward Brodas died in 1835, the ownership of Harriet and her family passed to his son. For a short time, she was allowed to work outside of the plantation as long as she shared her profit with the son. Then, in 1844, she married a free man name John Tubman, and they lived in a small cabin. It wasn't long before the relationship began to sour because John was a free man, and Harriet was still a slave owned by the Brodas family. She longed to be free and desperately wanted to escape, but John threatened to turn her in to her master. In 1849, Brodas's son died and she learned that she was going to be sold to pay off his debts. Even worse, she was told that she was going to be taken to the Deep South to pick cotton. A few nights later she left the plantation and went to a nearby home where she knew that the Underground Railroad operated. The Underground Railroad was a network of anti-slavery sympathizers who aided fugitive slaves in their quest for freedom. The woman in the house directed her to another safe house. For the next few days, Harriet traveled at night with the help of strangers. At times they hid her in a vegetable wagon. Other times she pretended to be a servant. Finally, after traveling for more than 100 miles she crossed the border into Pennsylvania a free state. 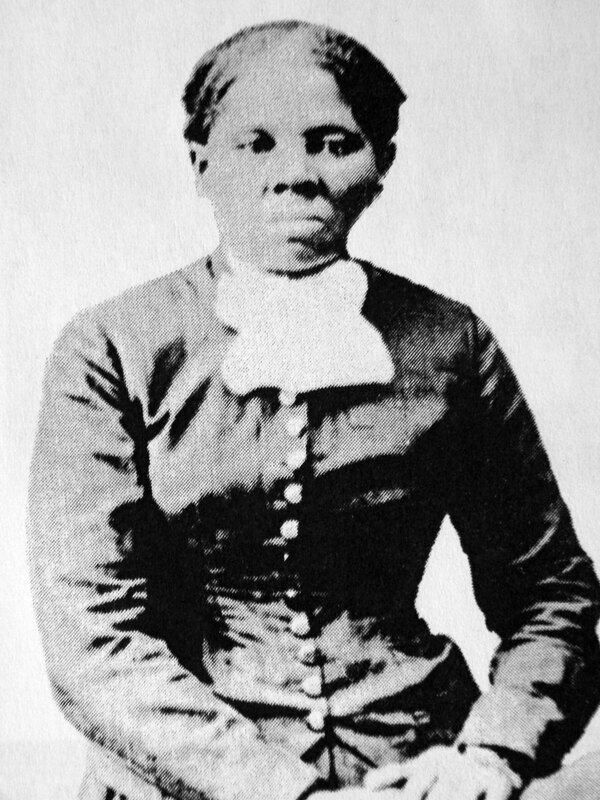 Harriet settled in Philadelphia where she washed dishes at a hotel. The entire time she saved all the money she could so that one day she could return to Maryland and bring her family to freedom. During this time period she met some of the most prominent abolitionists of her time including John Brown and Frederick Douglass. Finally, in 1850 she returned to Maryland and rescued her nieces and a sister by bringing them north to freedom. In future trips she returned with her brothers and their families, and her elderly parents. Over the next decade she made at least 19 trips to the South while helping almost 300 people escape. Every time she risked her life as well as her freedom. Then when the Civil War broke out between the North and South. Harriet joined the growing amount of Northerners who believed that slavery was morally wrong. She volunteered as a cook, nurse, and did laundry for the Union (North) troops. At the same time she worked as a spy, and conducted scouting missions. During June of 1863, Harriet led a group of black soldiers in a raid in gunboats on the Combahee River in South Carolina. They freed 750 slaves, who were so grateful that almost all of them joined the Union Army. After the North won the war Harriet hoped that the U.S. Government would pay her for her service. Unfortunately, they refused and she spent years in poverty living with her parents in Auburn, New York. She died in 1913, at the age of 93.